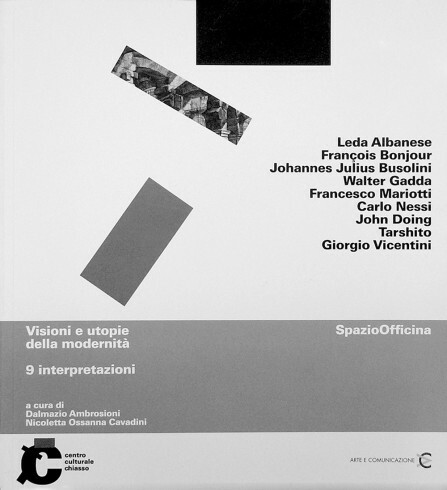 In over fifty years’ work, Paolo Bellini (Mendrisio 1941) has conducted a very singular research in the field of sculpture, with studios first in Chiasso, then at Tremona in Canton Ticino (Switzerland). 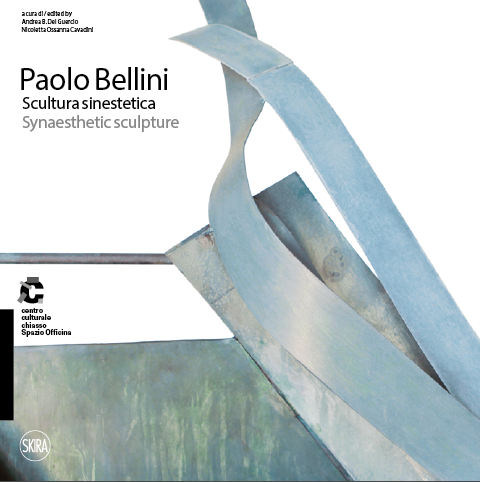 This catalogue and the exhibition explore his most recent work with some forty sculptures representing synaesthetic relationships entailing an interaction between graphic-sculptural elements, namely between structure and space, in a grammar that unites the iconographic image (the work) with the expression (the thought). The artist’s creative process appears the result of long and stubborn experience, animated by the interaction between purposefulness and sensibility, in which each fragment finds its perfect location in the definition of the visual narrative. 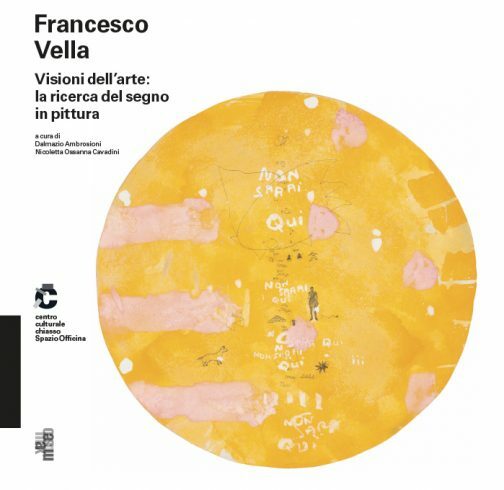 In his thirty years of intense creative activity, Francesco Vella (Chiasso, born in Caneggio in 1954) conducted a highly complex pictorial research, approaching the graphic dimension with refined execution, exploring serigraphy and engraving, assemblage and collage, drawing and tempera. Starting from his early experiments in the 1980s, mainly post-informal in character, and then moving towards a more material aspect, in his works on board Vella incorporated images in a form of historical stratification with a repertoire starting from the masters of art history and arrived at the chronicling of the everyday. His expressionist impulse declined during the 1990s. The dribbling and layering of colours became attenuated and softened, creating almost monochrome fields of white, rust and a grey-blue colour. The abstract minimalism that Vella has embraced in recent years led him to reflect on“less is more”and bring out the graphic sign, primitive writing, illegible signs and the words of the soul. The word thus became form and the meaning colour. On 26 February 1917, the original Dixieland Jass Band, a New Orleans group led by the Italian-American trumpeter Dominic “Nick” LaRocca, made the first record in jazz history called “Livery Stable Blues” in New York for the Victor record company. The emergence of jazz records opened a new era. 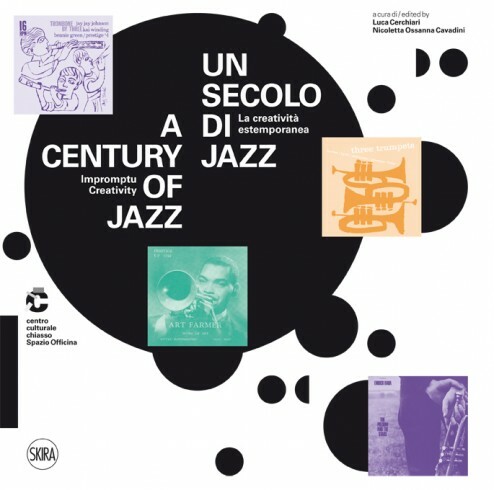 Marking the centennial of the first jazz recording, the catalogue presents a vibrant visual heritage through record sleeves, posters, placards, postcards and book covers, as well as gramophone music from the early 1900s, musical instruments, scores and editions that have become famous, photos of significant moments and characters and stills. To develop the graphic design of refined and innovative record sleeves and posters with their colouring and compositions, internationally famous artists were involved who had a real passion for the new musical genre, ranging from Josef Albers to Max Huber, Andy Warhol and Niklaus Troxler. 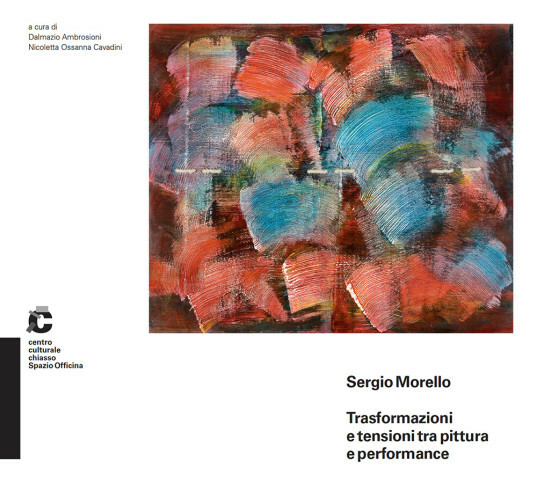 Over fifty years of creative activity characterised by a search for the meaning of art and materials and highlighting the transformations, tensions and critical elaborations of Sergio Morello (1937): from his early work at the Accademia di Brera with continuous brushstrokes and clear and crystalline colours to the protests in the mid-1960s through “social” art and political commitment to the analysis of the language of “analytical painting”, where colour, with its full range of pigments was the dominant feature. Morello then continued to develop through Land Art, of which he was one of the leading exponents in Ticino, and the series of “concave and convex panels”, “cutouts” and “seams and stitchings” of the 2000s on boards, with spontaneous brush strokes and visible cuts sewn together, finally coming to his latest works in 2015, which once again are the expression of innovative research. At the present stage, Sergio Morello is interested in the so-called “perception of invisibility”. The catalogue brings together reflections on the value of transforming a site through architectural projects and urban redesign, where the guiding thought behind the project tangibly embodies the Zeitgeist by applying a vision to the culture of a place, capable of endowing a pilot concept with feasibility. This was the case of the area devoted to culture in Chiasso. In the early 2000s it was rapidly transformed due to the decision of the Max Huber-Kono Foundation to create a museum to foster visual art – in particular graphic art, design, video art, photography and architecture – and the far-sighted “Creative City” policy for this border town, with its administration’s decision to redevelop a former car park as the Spazio Officina. In this way it became a public venue, a place of social focus and dialogue on the theme of contemporary art. A derelict artisanal area thus underwent a radical conversion and became the heart of the production of culture in Chiasso. 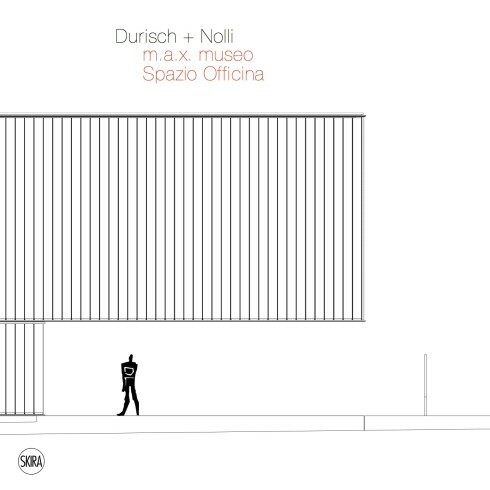 The redevelopment of the area was entrusted to the architects – them emerging and now internationally famous – Pia Durisch and Aldo Nolli, who intervened with a project for a new museum, the renovation of the Spazio Officina and a master plan for the whole area. Copperplate engraving is the product of a slow and lengthy process, requiring great skill and concentration at each stage of the work. Art and technique are therefore two inseparable factors in the execution this form of print-making, and of etchings in particular. 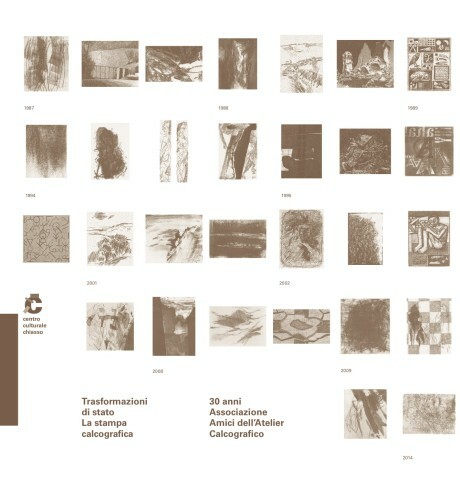 The catalogue brings together all 93 prints made by the 70 artists of the Associazione Amici dell’Atelier Calcografico in 30 years’ work: a significant presence in the Ticino region. 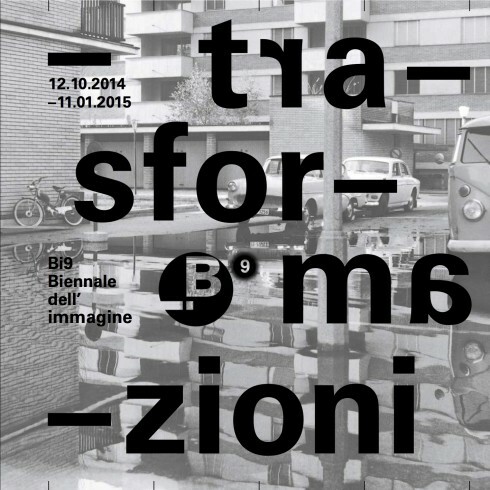 The 9th edition of the Biennale dell’immagine is inspired by the epochal changes that affected the Ticino area – geo-physical as well as anthropological and social – to create a path of photographic memory that starts from the recent past and reaches to the heart of contemporaneity with the title Trasformazioni. 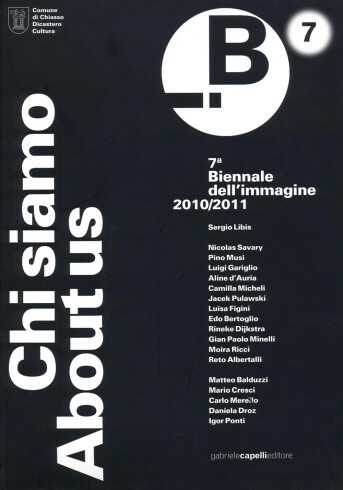 Developing through eight editions as one of the most original events of this kind in Switzerland and Europe, the Biennale dell’immagine is an event focused on photography and the contemporary visual arts, including video and cinema, which has also become one of the most innovative meeting points for creative experiences in this field. 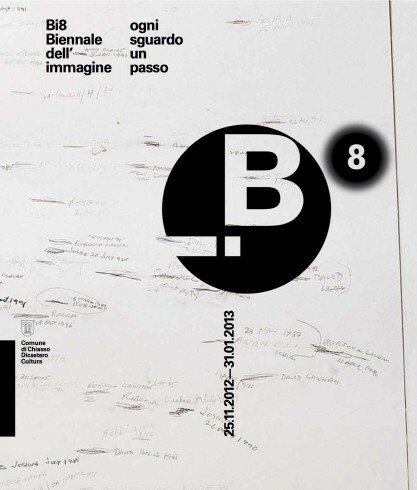 The 9th edition involves 22 exhibitors from Ticino and Insubria, from Lugano to Como, extending its range of action geographically and in terms of cultural offerings. Starting with the surrealist Max Ernst and the fantastic bestiary of his “Histoire Naturelle”, the volume presents the work of thirteen palaeoartists, opening a window onto a fascinating and little-known field: the artistic exploration that focuses on and is inspired by fossils, bones and extinct prehistoric creatures, seeking to recreate the world of the dinosaurs and much else. 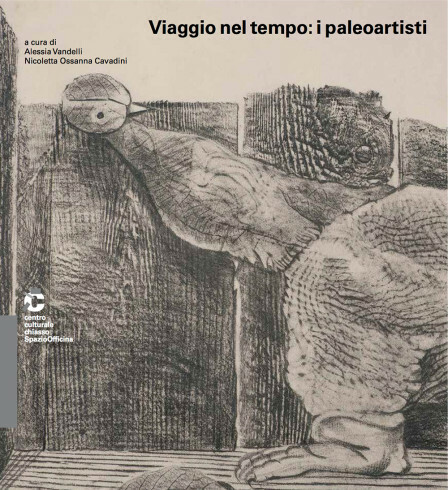 The catalogue presents drawings, sketches, digital prints and reconstructions by Marco Auditore, Davide Bonadonna, Angelo Boog, Michele Dessì, Fabio Fogliazza, Alberto Gennari, Simone Maganuco and the team Dinosauri in Carne e Ossa, Fabio Manucci, Sante Mazzei, Fabio Pastori, Loana Riboli, Beat Scheffold and Emiliano Troco, together with Max Ernst. 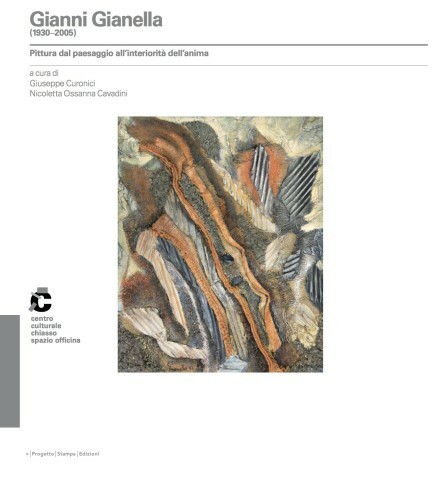 The catalogue, produced in collaboration with the Fossil Museum of Monte San Giorgio, also provides a scientific insight into Cyamodus hildegardis. Gianni Gianella was born in Chiasso but descended from a family long established at Blenio. Ever since he studied medicine at university in Milan, he has combined the pleasure of developing cultural contacts with the Milan area and the ​​inspiration derived from the upper Blenio valley. Starting from the Lombard landscape, using fade-out and new abstract techniques, Gianella arrived at polymateric painting of great expressiveness. The volume is the result of a project of research and cataloguing of the works by Serena La Torre, a degree student at the Università degli Studi dell’Insubria. Every look a step – the title of the eighth edition of the Biennial of the Image, an exhibition focused on photographic art and the visual arts such as video art and cinema – encloses the moment that precedes the shot and clearly illustrates the activity of observation and survey that each photographer performs. The volume brings together the work of the artists present in the various exhibition venues of the Biennial, so delineating a fascinating panorama. With his camera, Guido Santinelli, photojournalist and collector, has documented the far-reaching changes registered in the border area of Chiasso and throughout the Mendrisiotto. 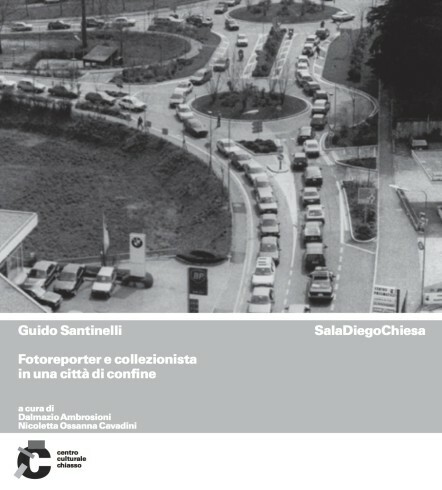 The catalogue features local news photographs, views of the city, images of the railways, of traffic, numerous folk festivals and other events large and small, such as the arrival of famous characters in Chiasso, subsequently recounted in the newspapers, as well as a small selection of vintage cameras from Guido Santinelli’s private collection. In the 19th and 20th centuries, Ticino’s tobacco industry grew considerably, with a spinoff in the sector promoting art which included the various forms of advertising of the product: from posters to metal signs, from the design of display panels to the richly decorated cigarette packets, to which were added tobacco-related objects with the eagerly coveted pipes carved out of meerschaum or brier. 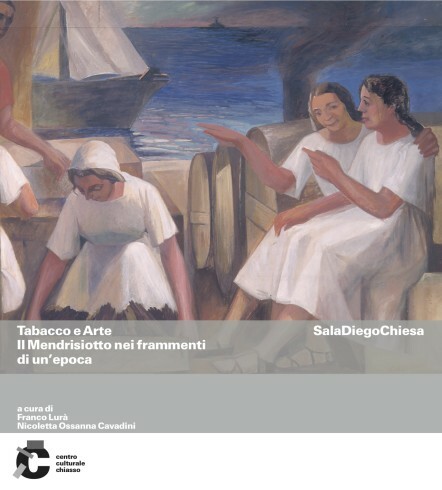 In addition to depicting these materials in a rich palette of colours, the catalogue, marking the centenary of the Polus company, presents thematic essays linked to a historical moment of important transformations and relations between Ticino and the international sphere. Ten contemporary artists selected from the two groups of Visarte Ticino and Visarte Zurich present a series of works as the result of a study of the great Tiepolo, and in particular his engravings and etchings. 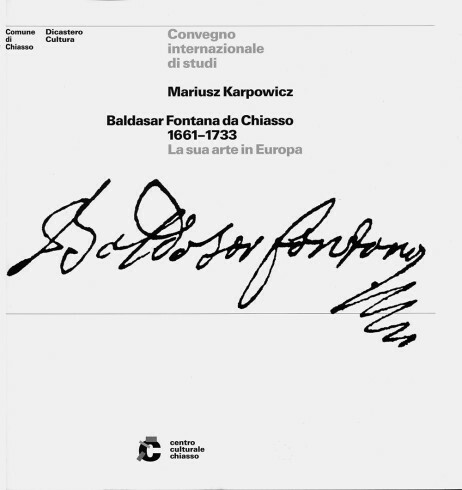 In light of the studies that followed the fundamental monograph by Mariusz Karpowicz (1990), marking the 350th anniversary of his birth, on December 2011 an international symposium was announced in Chiasso on the figure and work of Baldasar Fontana, an artist from the border town, but who created great works outside his homeland. 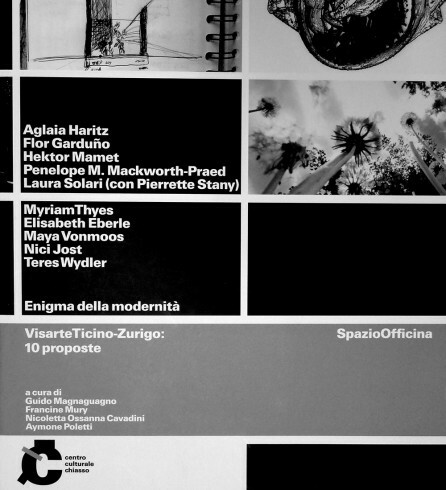 The catalogue presents the works of nine artists whose exhibited at the Spazio Officina in conjunction with the exhibition on Giovanni Battista Piranesi at the m.a.x. museo. The artists invited presented their personal vision of Piranesi’s genius with surprising and unexpected results and techniques. 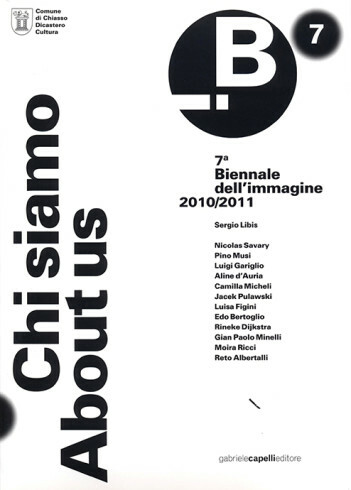 The Biennial of the Image is an event focused on photography and contemporary visual arts, including video and cinema, which has become the meeting point for the most innovative creative experiences in this field. The catalogue brings together works by the artists who participated in the 7th edition (version with pp. 92). The catalogue brings together works by the artists who participated in the 7th edition (version with pp. 148).